The Peel Development Commission is delighted to advise that Mr Robert Grover will be joining us in a volunteer capacity as Advisor to the Board. Recently, the Board decided to invite selected members of the community with specific skills and experience to work with a Board member in an advisory capacity to assist with specified projects. These volunteer advisors are an exciting new initiative the Board is trialling with the support of our Minister. Mr Grover is the first volunteer to join us. He will be working with the Chair and will be predominantly focused on the attraction of businesses to the Peel Business Park. The Board felt there were a number of talented people in our community that the Board could work with to provide assistance and advice. Robert has a professional career spanning 40 years both in Australia and internationally and holds a Bachelor of Business with majors in accounting and law. He has worked as an Accountant, a Consultant and been Chairman for a number of publicly listed companies on the ASX. He has lived in the Peel region, namely Serpentine and more recently Mandurah, for over 25 years and is very passionate about supporting a number of community organisations and not for profits both donating and volunteering his time. He is committed to utilising his broad experience to continue to focus on partnering with industry and the agriculture sector, creating job growth and increasing our tourism footprint with a view to future proofing the economic balance of the region. The Board warmly welcomes Robert and looks forward to working with him. 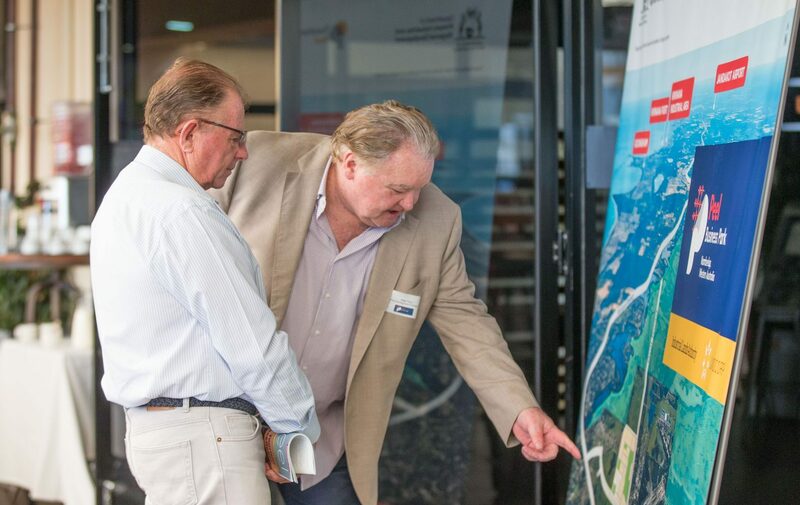 Image: Mr Robert Grover with Deputy Chair, Greg Poland, at the Peel Business Park Stage One Release Launch.